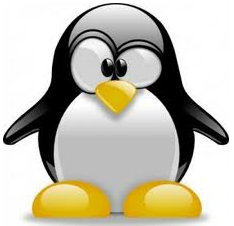 The Google Penguin Update - What did it mean? The Google Penguin Update – What did it mean? SEO is the name of the game when it comes to online businesses and blogs. However, a lot of businesses play rough in this game by using black SEO techniques which tend to help it get to the top fast. However, the Google Penguin was launched on April 24th with the intention of clearly differentiating between the white and the black. One of the black-hat techniques that these websites use is over-optimisation. Too much of anything is truly poisonous, and the Google penguin finds this poison very tasty. The Google penguin will munch every single website that has used over-optimisation techniques in an effort to rank highly, and in the end, there will be nothing left. This means that websites that were over-optimised have had their rankings on Google dropped considerably, and this will definitely affect their businesses. One of the ways of over-optimisation is by keyword stuffing or using overly-specific anchor texts. Penguin is also supposed to get hold of websites that trade links or those that have links in websites that are considered rogue. A lot of individuals have been able to find loop-holes in SEO practices in order to ensure that they rank highly, but the penguin will dig the content out of whichever hole it is in and munch it up. So to speak..
For a long time, individuals have wondered about how Google will react to over-optimisation, and at times, Google has had to get on its hands and feet to manually weed out the rogue websites. However, with Google penguin, all these websites are breakfast, lunch and dinner, as the new algorithm update will eat the content up until there is nothing left. Google takes its place as a leading search engine very seriously, and when websites try to circumnavigate the rules in order to ensure that they rank highly, its credibility is affected. This is the reason why the search engine giant keeps developing updates to thwart webmasters who think that they can find a way around its guidelines..
Apart from inbound links, Google penguin also ensures that the internal links within a website are perfect. These links help in navigation, and if they are not natural, the penguins will have them for dinner. A lot of websites have been affected since Google set these penguins loose, and what it means is that individuals should pay attention to the SEO techniques that they are using. This is in order to ensure that they do not become prey to these otherwise loveable creatures. What this update means for webmasters and website owners is that they have to follow the guidelines set out by Google if they want to remain relevant in the search rankings. They have to ensure that their content is not only rich in keywords, but that it is also meaningful and informative and a joy to read. The keywords should not be hidden on the page, and no black hat techniques should be used to get you to the top fast, as the journey to oblivion in the search engines will be just as fast. The penguins also ensure that no underhand deals are made between websites to exchange links, and that links are natural and trustworthy. The purpose of a link is to establish a website as an authority in the internet, and if this crown is false, the website will be dethroned very fast. Internal links should also be available and they should help in easier navigation within the site. If all these rules are adhered to, then the penguin will smile at your website from afar. However, websites that do not follow these rules can be sure that the penguins will make a tasty meal out of their distasteful content. One last point to note is from the Penguin update – Google gives further prominence in search results to ‘authority’ websites. Ie leading, large, and brand name websites. It is in your best interest to obviously become an authority website and enjoy ranking at the top of Google search. How do you become an authority? Very high quality links, high social sharing and great content.